Imagine that you were a child of Thomas Jefferson – author of the Declaration of Independence, the nation’s third president, a giant in American history – and Sally Hemings, the slave who gave birth to six of Jefferson’s children. Do you claim your heritage? Do you hide it? How will that affect your life and the lives of your children? Hemings’ children were all freed from slavery after Jefferson’s death, the result of promise she extracted from him when they were in Paris in the late 1780s and she could have walked to her own freedom there. Jefferson and Hemings’ son, Eston Hemings Jefferson, brings that dilemma home to Madison. This is where he and his wife and their three children moved in 1852, using Jefferson as his last name and becoming part of the white community in this emerging city. 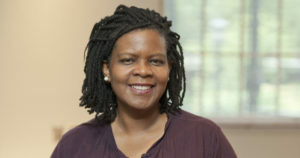 Gordon-Reed is the historian whose worked changed the national consensus around the relationship between Jefferson and Hemings. Her 1997 book, Thomas Jefferson and Sally Hemings: An American Controversy, shattered decades of wide acceptance of denials from Jefferson’s white descendants that he had fathered children with Hemings. Her subsequent book, The Hemings of Monticello: An American Family (2008) won the Pulitzer Prize for History. 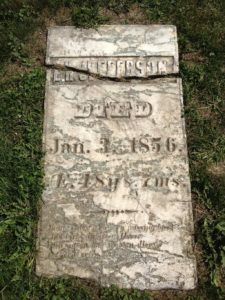 She is working on the second volume of that and will be spending time in Madison exploring the life and family of Eston Hemings Jefferson. 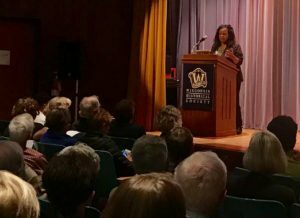 Part of her work on the next book is tracing what happened to the four children of Jefferson and Hemings that survived childhood. Esten was the youngest of them and one of three who chose to live in the white community. The other chose to stay in the black community. Madison Hemings, who remained in the black community, and his descendants did OK over the generations, she said. They did have the advantage of being descendants of a president, after all. But Esten and his brother and sister became part of the white community and did significantly better over time. It’s a fascinating look at the advantages those defined as white could claim in American society. Still, the three of Sally Hemings’ children who chose to live as white people lost connection with the rest of the family, Gordon-Reed said. “Esten had to leave a world behind to gain the respect he had in Madison and to give his children a future,” she said. Gordon-Reed’s work not only illuminates the complexities of history and of the life of a towering figure in American history, but also brings a focus on the individuals who are part of that history. “I wanted to make people feel something for the Hemings family and respect them,” she said.